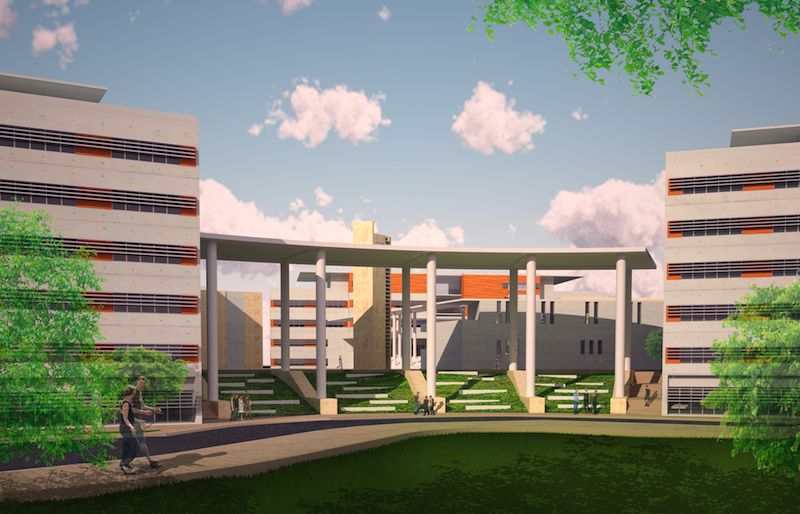 Hatay Kırıkhan Lycee Campus has been planned on a ridge, both sides of which are steep slopes and surrounded by newly developing housing areas, with different densities. 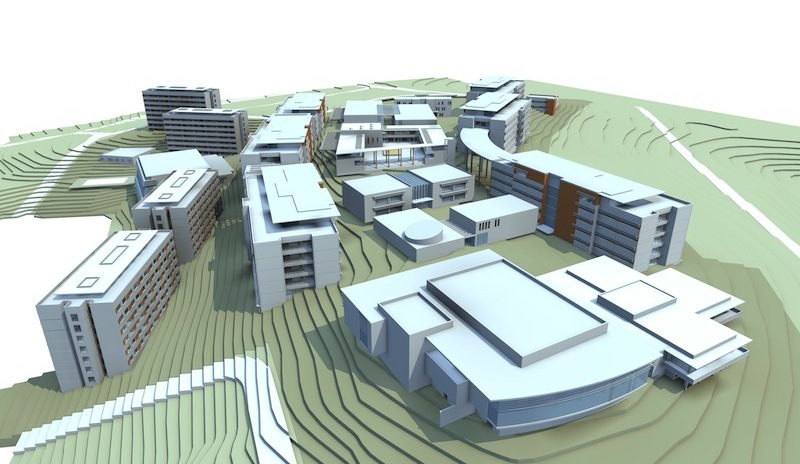 The campus plan comprises of the educational, administrative units and the social, cultural units lined up along the ridge and the slopes on both sides. 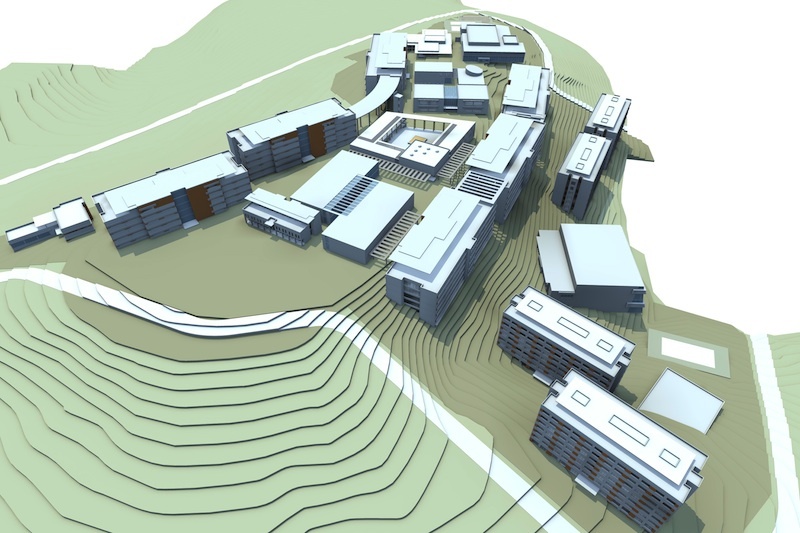 The classroom units have been placed on the eastern and western slopes, while the academic, social and cultural units make up the spine of the layout, spread along the plateau, created atop the ridge. 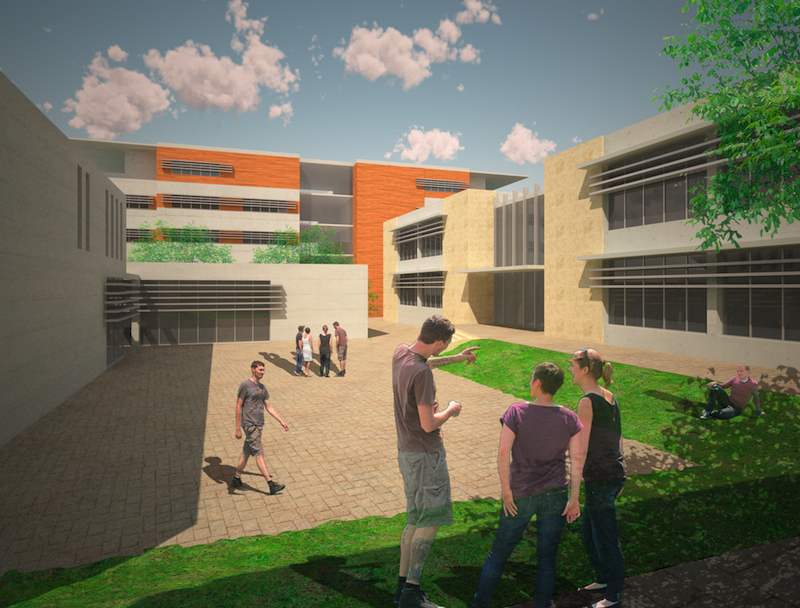 The Dining Hall and the Performing Arts Center are placed at the southern edge of the plateau, overlooking the view. In front of them are the open sports fields, which are placed on the only near flat area of the site. The dormitories and the sports hall have been placed on the western slopes, near each other. Hatay is a city of narrow streets lined with houses overlooking interior courtyards, verandas surrounding the courtyards, with wells and cooling pools and blank stone facades facing the narrow streets. 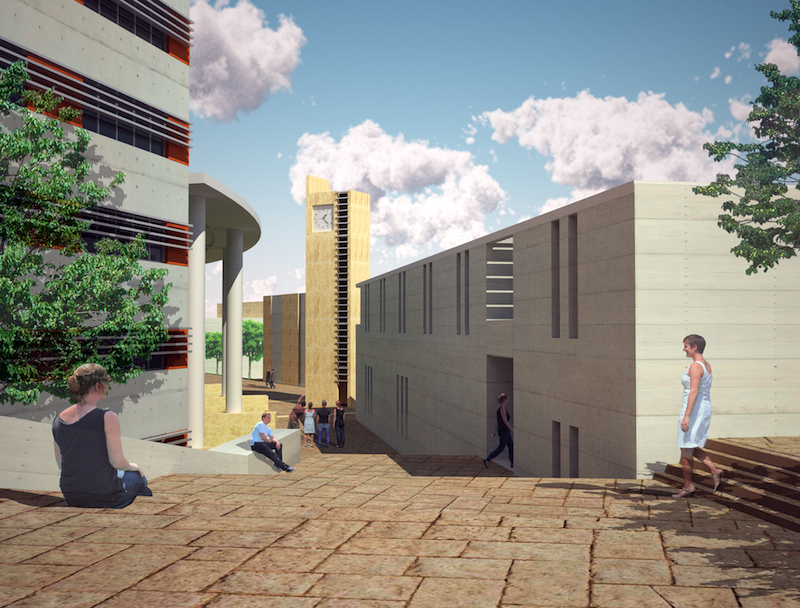 The Kırıkhan Campus has been planned following a similar pattern with courtyards between the buildings, narrow pedestrian streets allowing cooling breezes, with canopies above and the use of water. Vehicular circulation is planned on a ring road surrounding the site with service stops and student bus stops at certain nodes. Car parking is at the northern edge of the plan. The central plateau is reserved mainly for pedestrians and the Campus Square is the most important open space in the settlement. A watch tower, also serving as a scenic tower, acts as a landmark. The main cafe as well as shops, the religious center and student clubs all add to the activities in the Campus Square.